Are There Natural Remedies for Gum Disease? Gum disease is a bacterial infection that begins as gingivitis, which is an inflammation of your gums. Fortunately, if caught early enough, the infection is reversible and easy to treat. There are several natural remedies that may be effective at treating your gum disease. 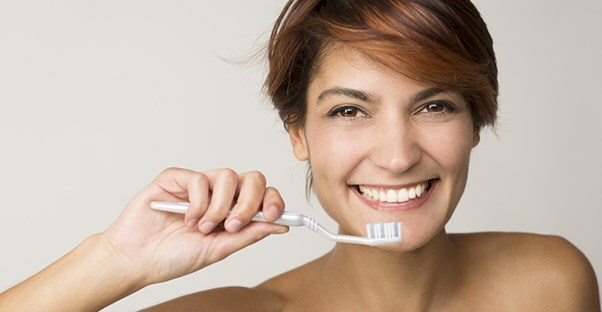 However, it's important to note that, while some find personal success with these, most studies indicate that more traditional, medical treatments are necessary for fighting gum disease. A healthy diet can boost your immune system and help fight infection. Eating fruits and vegetables can help clean your teeth as well. Additionally, the antioxidants found in both fruits and vegetables reduce plaque build up in your mouth. This is a popular and easy method to follow. All you have to do is put a little oil in you mouth and swish it through your teeth for 20 minutes. Add this to your morning routine before you eat or drink anything. The best oils to use are coconut oil and sesame oil. This natural remedy is loved by many because it "pulls" toxins from your mouth and gums. Using mustard oil to treat poor oral hygiene has been done for hundreds of years. The oil removes bacteria in your mouth and heals your gums quickly because it is full of antibacterial and anti-inflammatory agents. Mix a teaspoon of mustard oil with a quarter teaspoon of salt. Massage the mixture into your gums for five minutes twice daily. Lemon can be used for both preventing and treating gingivitis because it has anti-inflammatory properties. Mix together the juice of a lemon and a little bit of salt. Apply the mixture to your teeth. Leave the paste on your teeth for several minutes and then gargle water. Gum Disease Signs: When Should I Be Worried?